No matter where you are in Australia, in the event of a tyre breakdown we’ll have you back on the road with minimum downtime. We get you going again in the event of a tyre breakdown: throughout Australia, and with minimal downtime. For more than 30 years, Continental has led the field in tyre breakdown services – its reliable and straightforward system gets you mobile again quickly e.g. after a tyre puncture. With our drive-on-time guarantee we ensure that your incident will be dealt with as quickly as possible. In the case of a tyre-related breakdown, we guarantee assistance to arrive as soon as possible. A long time before our truck and bus tyres hit the road, we’ve carefully thought through how we can make them more durable, safe, comfortable and efficient. The result is plain to see. If the tread is ever worn down, our tyres are still so good that we would like to have them back. All in all it’s as simple as this: With our premium retread solutions ContiTread we can give your worn tyre a second lease of life – without compromising product quality. 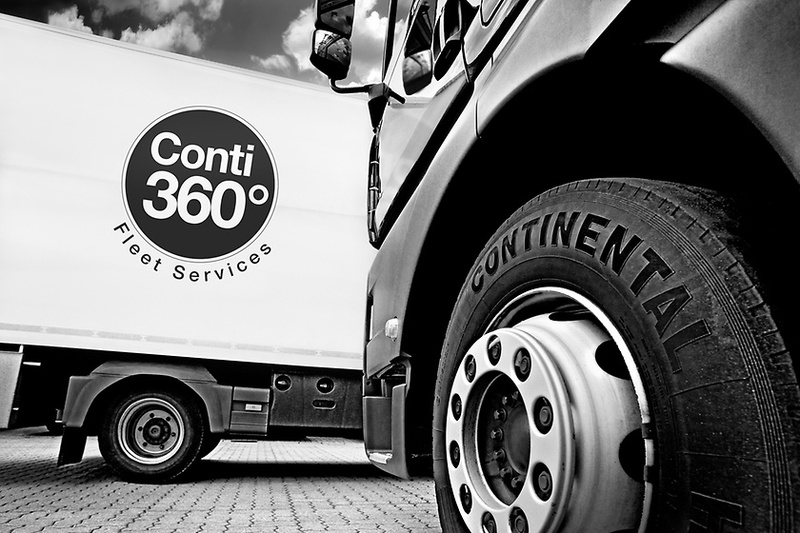 With Conti360° Fleet Services, fleets get a professional all-around tyre service: From recommendation and perfect selection of tyres, through correct fitment and quick assistance in case of a breakdown to ongoing checking and reporting on the tyres of the whole fleet. We also handle the proper disposal of worn tyres. No matter where you are in Australia, in case of a tyre breakdown we’ll have the vehicle back on the road as soon as possible. The wide network of Conti360° Partners guarantees high quality and standardised services. As a partner you'll be listed in the Conti360° Dealer Locator, a website that points out your location to Australian fleets.